The Italian Stallion is a knockout sandwich worthy of Rocky's nickname. Terra di Siena proscuitto, ham, salami, provolone, pickled peppers, red onions, hot pepper relish & vinaigrette on a sub roll. Get a sandwich or a trio of amazing prepared salads here, pair it with a $4 draft beer, and sit out at the picnic tables out front for a perfect summer meal. If you're lucky, you can get their amazing Beer-brined Berkshire pork loin sandwich with braised collards and pimento cheese on a cheddar biscuit. Delicious! 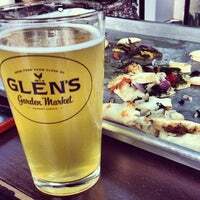 Glen's beer selection (both on draft and bottled) is incredible and affordable. I personally love and can never deny their salad combos at the deli, although their sandwiches are crazy good, too! Everything looked lovely. Unique products that are priced accordingly, and by accordingly, I mean ten dollars for a bottle of dark chocolate milk. Prices are as high as I'd have to be, to shop there. 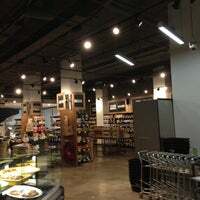 Well curated and locally sourced grocery and deli that plays super fun music while you shop. (All your farmers market faves every day of the week!) Bar and tables to eat in too! The Bully pizza will make you want to order another - Beef Bolognese, pastrami, mozzarella, tomato sauce, & parsley; and then wash it down with a $4 local brew! 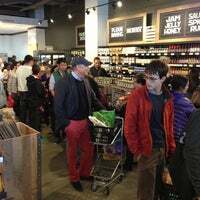 Make sure to load up your wine/beer card, grab a glass and linger in the store. Plus, they love the neighbors and their head chef is the best! Fantastic decor, interesting selection, very pricey. My roast beef and mustard sandwich consisted of... roast beef and mustard with a 4:1 bread-to-meat ratio. Tasty, but not worth the $10 I paid. 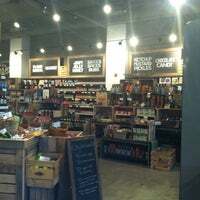 Beautiful store, helpful staff and well curated selections! Hard to believe this is in the spot once occupied by the "Secret Safeway." My first visit but I will be back soon! 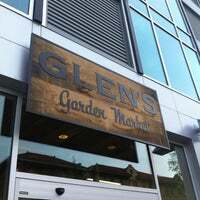 I was going to Glens about 2-3 times a week. This week they gave me roast beef instead of pastrami -2 different days. Today my pastrami looked like dog food. This is the end of Glens for me-see photo! I bought one of the roast chickens from the prepared food section and a loaf of bread and it was absolutely delicious. Will definitely be stopping by here more often. Now serving Bullfrog Bagels for the most incredible breakfast sandwiches. Best hangover cure in the District, hands down. Great selection of hot & cold sandwiches, along with salads. 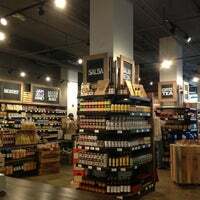 Feels like a nicer, miniature Whole Foods with great service. 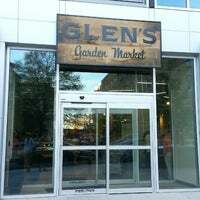 I'm very skeptical of Glen's. Everything is locally grown and they offer prepared kale salad or cole slaw but no kale or carrots. Good for prepared foods, very limited on produce, cheese, meat, etc. Gotta appreciate a grocery store with a bar ($4 beers), delicious sandwiches, and great music. When was the last time you heard the Flaming Lips at Safeway? Quality local products. 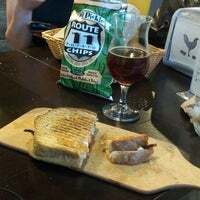 It also has a rather nice bar with tasty sandwiches with beer and wine by the glass which rotate often. 4 dollar drafts. Amazingly, the store is 100% local. Everything is from the Chesapeake Bay Watershed. Take that, global warming. WE HAVE A STORE. $4 drafts of fancy beers are amazing, especially if you can find a summertime seat on the outdoor patio! 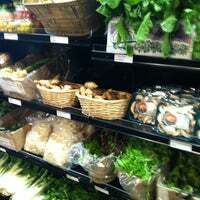 Great gourmet local/organic grocery and take-out. Very small craft beer selection focused on local options. Closest thing to a local co-op in the area. Could benefit from cutting the nice-ities and slashing prices. 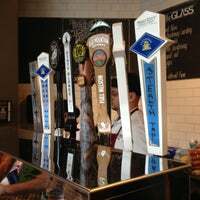 Tap selection is exemplary and staff is awesome! You can't beat the $4 craft beers. Locally sourced products from the Chesapeake region, and great community events too! Try the foghorn sandwich, and the kale & apple salad. Check the date roasted on the coffee bean packages. Coffee is perishable, not a dry good. Under two weeks if possible. This place is an incredible feast for the palette. And eyes, too: such beautiful packaging on the chocolates!!! Love that they have vegan options in the food bar! And some vegan desserts! Great breakfast samdwhiches and salads! Love the selection of local food! 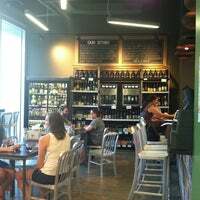 Awesome beers on tap, great grocery products and a friendly staff. 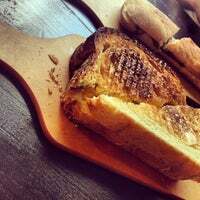 The beef broth caramelized onions in their grilled cheese are dreamy. 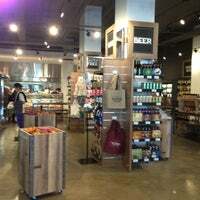 Very similar to a Whole Foods market, but smaller with a neighborhood vibe, craft beers and cozy feel. Such a unique food destination. Check out IBEX Drinkable Yogurt in the dairy case. OK... I'm the kind of person that hates implied rules. 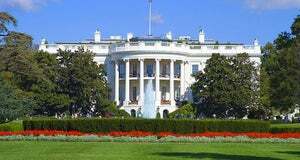 If you have never been, the experience can be a little annoying due to a lack of cues. Place is hipster foodie pretentious, but terrific soups & beef chili. grilled cheese is out of this world! One of the only places in DC with Italian Beef! Careful at the communal tables around the sweaty post-Flywheel crowd. 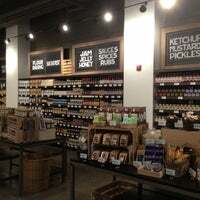 A locally sourced grocery store bringing you the best of the Chesapeake Watershed! Plus, we also have $4 local craft beers all day, every day! "Go Vegan! Whole Foods makes it so easy with delicious veggie meatballs,& other veggie and soy-based foods like cheese, milk, seitan, andeven ice-cream. You'll feel stronger, better, and even lose wei"
"It was faaantaastic! 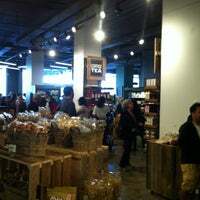 Great spacious store. Wine tasting And great ambiance I will never go to the others again. Finally one close to home"
"Wonderful organic food. Best is having them juice your fruits and vegetables for you!" 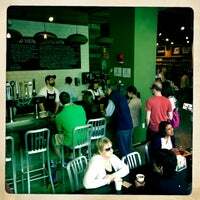 "Love this garden level coffee bar that blends in with the neighborhood. Have an exceptional afternoon espresso and a bubbly water. You can also get some beans and basic brew equipment." "Großartiger Buchladen, vielfältige Auswahl; Café nebenan"
"Lovely atmosphere, some of the best coffee in DC (aren't a lot around) and free wifi (2022999116)."